New! 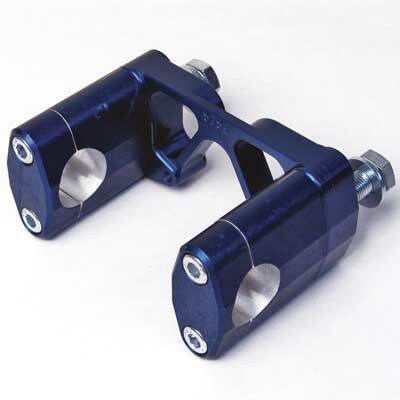 Below-the-bar, Scotts stabilizer submount is now available for your '04-'08 YZ's to work with your Applied clamps! 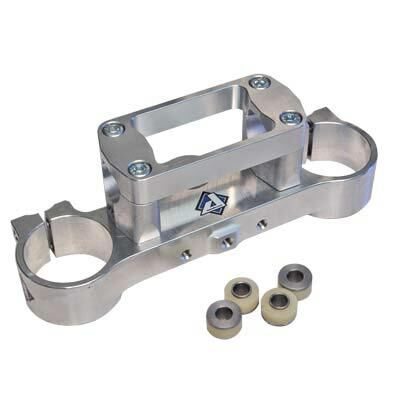 The mount consists of a sturdier configuration, reducing post-flex. The new submount design protects the stabilizer, and increases rider safety. This complete kit mounts a Scotts stabilizer under the bars on our solid mounted YZ Applied top clamps. Available for oversized or standard bars in 3 different colors, red, black and silver. This kit can be substituted for our standard top strap at no extra charge with the purchase of a Factory Set! Also available for CR models. Stabilizer, frame bracket and post NOT included.